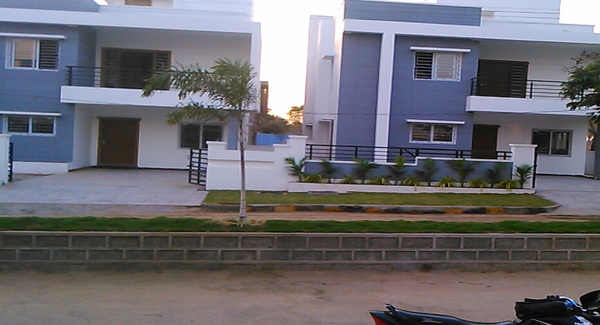 Details: The residential villas is coming up at Miyapur, Hyderabad spread over 10 acre of land. It comprises 100 units with G+1 floors, having 3 BHK villas. Apart from the basic amenities, the project offers round-the-clock security with electronic surveillance, solar fencing, swimming pool, air conditioned lounge, gym, banquet hall, manjeera water supply, RO water softener plant, modern street lighting, etc.